Succumb to the beauty and savor the wealth of culture in Italy. As one of Zicasso’s 5 year anniversary signature tours, this Italian journey literally sets the gold standard! 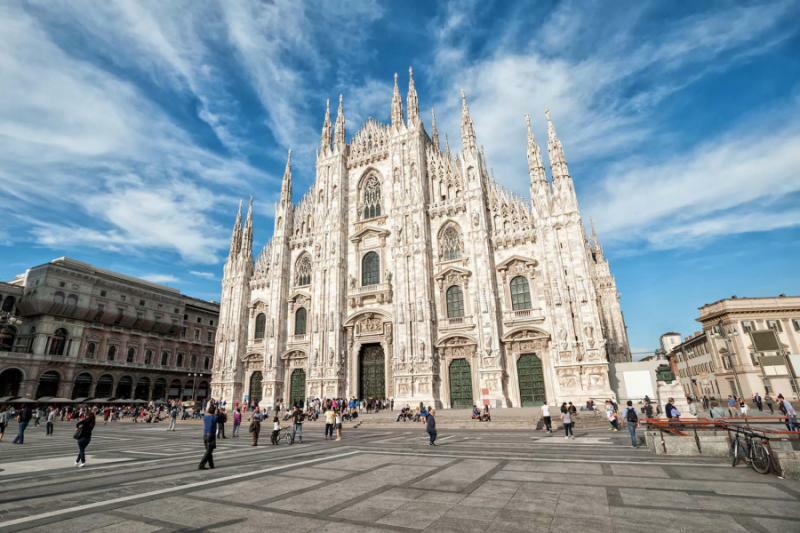 From gilded palaces and gold-plated art to the golden rolling hills of Tuscany, this trip offers some of the most authentic and luxurious experiences Italy has to offer. 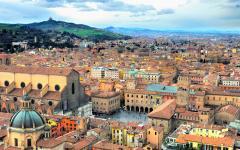 It's a treasure hunt for the the finest Italian travel experiences, especially in food, wine, art, and natural beauty. Taste estate-grown olive oils, and learn to cook with this "liquid gold" from a real Italian mamma! Rich in art, architecture and culinary wonders, Italy is a treasure trove awaiting your discovery. 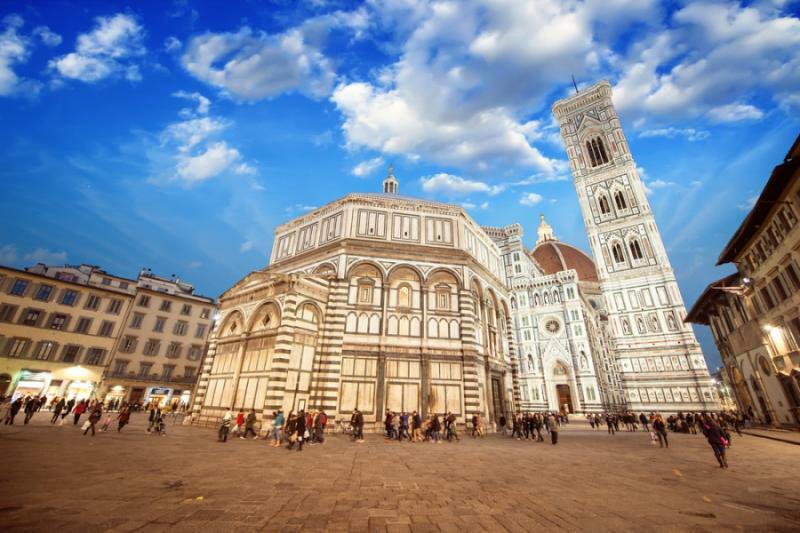 On this special Gold Standard Tour, you will visit the most impressive historic sites and see some of the most important masterpieces by the great artists of the Renaissance. 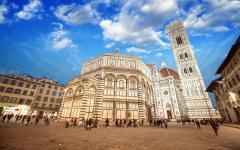 Visit ornate palaces in Florence and turreted medieval castles in Tuscany. Take a private tour of the Uffizi Gallery to learn about everything from the use of gold in medieval art to the new techniques of Renaissance art that allowed artists to create more life-like paintings. Admire the angelic gold-leaf angels of Cimabue, the almost photographic realism of Caravaggio and the seductive beauty of Botticelli's Venus, with her long and flowing golden tresses. Enjoy an insider's view into Italy's gastronomic heritage as you visit artisan food producers and estate vineyards. 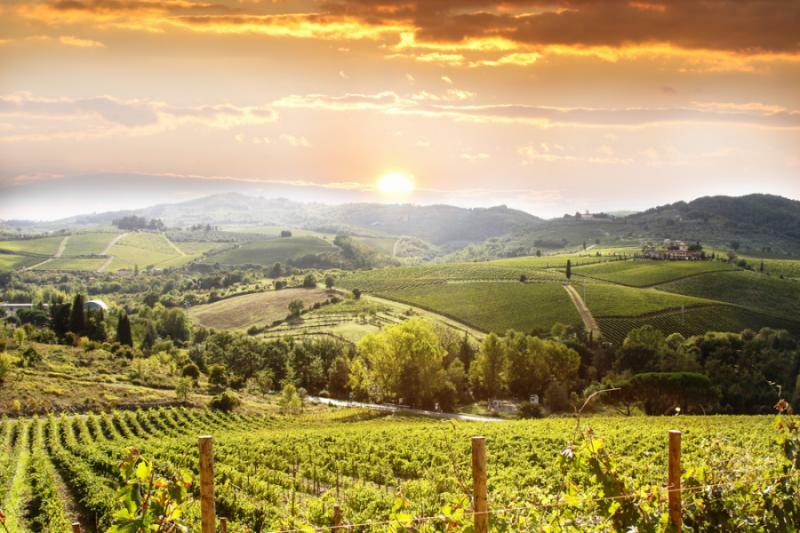 This tour takes you to two of Italy’s most renowned gastronomic regions: Emilia-Romagna and Tuscany, both of which are known for delicious rustic cuisine and local specialties. Sample authentic spaghetti with bolognese sauce in Bologna; then, visit Parma to see the centuries-old process of making Parmesan cheese. Next, stop at Modena to hear the fascinating history of balsamic vinegar. Go on an enoteca (wine bar) tour in the Chianti region, and sample the exceptional Super-Tuscan red wines: Vino Nobile di Montepulciano and Brunello di Montalcino. Similar to wine tasting, you'll also get to try various extra-virgin olive oils. 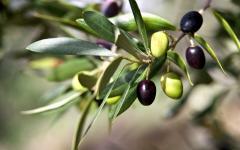 Each different version of "liquid gold" is produced on an estate property from special types of olives. The itinerary also includes unique experiences that allow you to immerse yourself in the local culture. You'll take a cooking class focusing on traditional regional recipes. Learn to make pici pasta (a special type of spaghetti) from scratch with help from an Italian mamma. Discover the secret of Tuscan cuisine: simple dishes prepared with just a few fresh ingredients. The hearty meals of homemade pasta and rustic ribollita will speak to your soul. You'll have a chance to visit an artisan gold restoration workshop in Florence and create your own masterpiece to take home as a souvenir. To truly get into the Renaissance spirit in Florence, one evening you'll be treated to an elaborate, four-course Tuscan banquet at a 14th-century palace—complete with lively entertainment. It's all guaranteed to make for a truly memorable vacation! 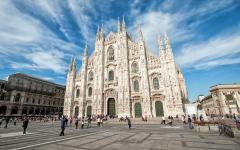 Arrive in Milan, and take a private transfer to Bologna, the capital of the Emilia-Romagna region and a center of Italian gastronomy. Check into your hotel, the luxurious Art Hotel Corona d'Oro. This 14th-century palace is located in the historic city center. Just a few steps away from the hotel, you can explore the Piazza Maggiore, where the locals love to gather. Stop at a cafe or explore the splendid Basilica of San Petronio, one of the world’s largest basilicas. 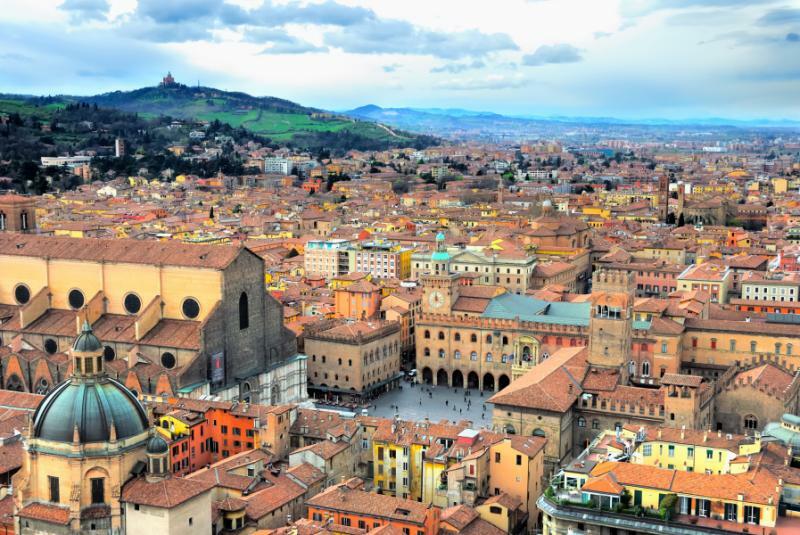 Spend the afternoon relaxing, and discover Bologna at your own pace. You might take a walk through the medieval quarter, or maybe even stroll through the colonnaded arcades of Bologna University, Europe’s oldest higher-learning institution. For dinner, you will be treated to an authentic meal at Al Sangiovese, where you can sample the local specialty of egg-pasta tagliatelle with bolognese sauce, a rich and satisfying meat ragu. 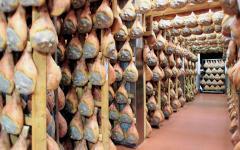 Enjoy a culinary expedition in the Emilia-Romagna region. Starting with an early morning pick-up at your hotel, the tour will take you on an excursion to visit the region’s finest food and one of its best wine producers. Your first stop of the day is in Parma to see how the world-renowned Parmigiano- Reggiano cheese is made. You will see all the steps of the process. 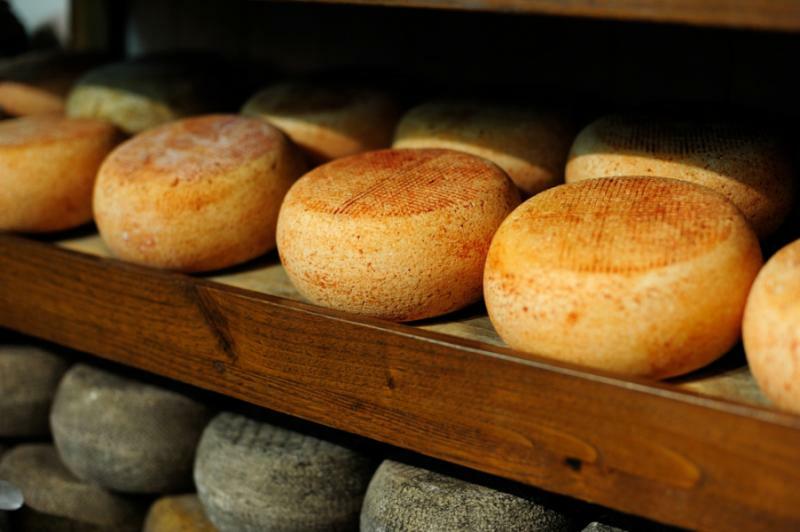 Then you will get to taste samples of the cheese at different stages of maturity—all accompanied with a glass of fine good Lambrusco wine, of course. Next stop: a local ham factory. 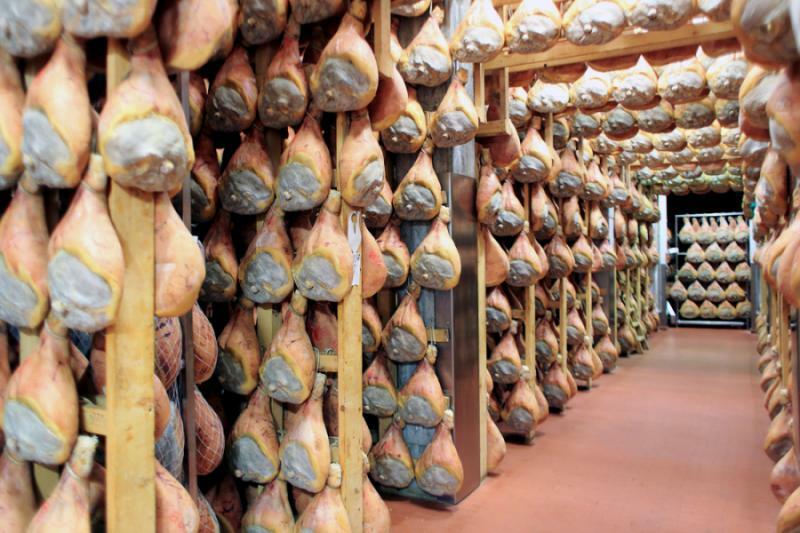 Better known as prosciutto di parma, this salty, cured pork product is one of Italy’s prize exports and a favorite ingredient in local cuisine. This method of preserving ham dates back to the times of the Celts. When Roman soldiers participated in lingering campaigns, they lived off the abundant supplies of preserved pork that had originated from this flourishing valley on the river Poe. Finally, visit a typical Italian wine cantina, located in a 16th-century monastery with fantastic views of the rolling Tuscan hills. Here you will enjoy a wine tasting and a traditional lunch in a spectacular setting with beautiful views of the valley. This morning, you will set off for a luxury train ride on the 'Ferrari of the Railroad' in Club Class to Florence. Spend four nights in the heart of the city at a historic residence located on the Antica Torre di via Tornabuoni. Known as ‘The Tower House,’ the building is an ancient fortified palazzo that was built in the 13th century and recently restored to its former beauty. Two magnificent terraces offer panoramic views over the whole of Florence—think 1985’s Oscar-winning A Room with a View. The classically styled rooms are decorated in soft hues of gold or celestial blue, and large picture windows offer an outlook to the cityscape that is virtually identical to that of the Renaissance period. In the afternoon, you’ll take a two-hour private tour of the famed jewelry shops of Ponte Vecchio. Your tour guide is knowledgeable about the history of Florentine banking, which provided the influx of wealth that allowed the Renaissance to flourish in the city. The tour ends with a visit to a jewelry-making studio where you’ll see how intricate gold pieces are carefully handcrafted. Spend the evening at a lovely 14th-century palazzo, where you will be delighted with an exquisite four-course Florentine dinner, paired with fine Italian wines. Sure to be a memorable evening, the dinner includes entertainment with classical musicians dressed in Renaissance costumes. 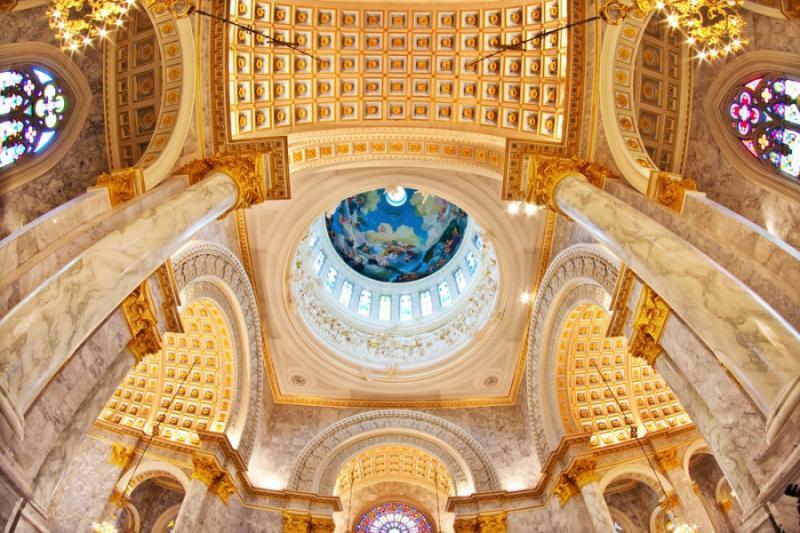 Today’s theme is gold decorations in art and architecture. 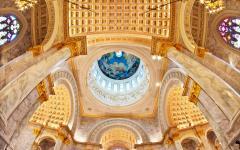 In the morning, you will take a private, two-hour Gold in Residences tour. The first stop is Palazzo Davanzati, an interesting example of a 13th-century home once owned by wealthy Florentine merchants. Next stop is Palazzo Pitti, a Medici family residence with opulent gilded decor and frescoes. Conclude your architectural tour with a visit to a famous restaurateur who restores furniture, gold frames, and antiques. In the afternoon, take a guided tour of the Uffizi Gallery, where you will see renowned medieval paintings, including ones that feature intricate gilded backgrounds. 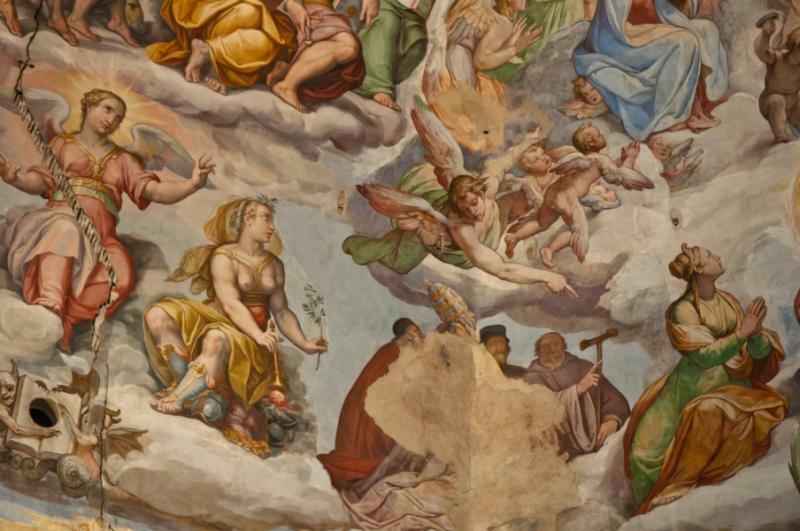 Your guide will share insights about the use and purpose of gold in Italian art. This morning, you will go on an exclusive visit to the studio of an artisan goldsmith. Watch a demonstration on applying gold leaf, and then have a chance to participate yourself! Enjoy lunch on your own in Florence, and be sure to try the local specialty of ribollita: a hearty rustic soup of white beans, Tuscan bread and vegetables. Once the food of peasants, this signature dish of Florence offers hearty sustenance and nourishes the soul. You’ll have the afternoon free to go shopping in Florence so that you can explore the designer boutiques and artisan workshops. Be sure to visit the famous jewelry shops on the Ponte Vecchio for souvenir gold jewelry. Your agents can put you in touch with goldsmiths that offer a free gift upon purchase. In Tuscany, olive oil is known as “liquid gold.” Actually, Homer was the first to make this reference, but today will be your chance to sing its praises as you explore the versatility of this culinary product. 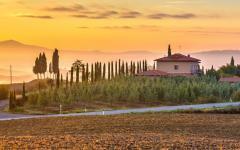 Depart Florence for Tuscany with your expert guide to visit an estate olive oil producer in Chianti. 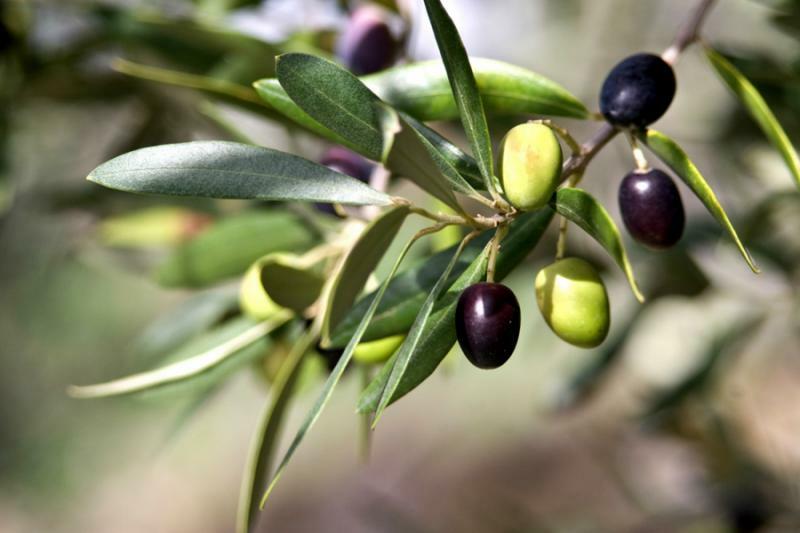 Take a pleasant walk through olive groves, and learn about the traditional process of creating olive oil. The estate is also a vineyard, and you will be offered a private visit of the cellars for a tour as well as tastings of wine, balsamic vinegar, and vin santo, a dessert wine. For lunch, you will be treated to a home-cooked meal prepared by the Mamma in the kitchen and served in the estate’s rustic restaurant. Continue to explore the Chianti region with a visit to the capital city Greve in the afternoon. Greve is a friendly market town with a wonderful selection of craft shops, cafés, and enoteche (wine bars) lining its main piazza. This would be a great opportunity to shop for some regional specialties. Be sure to visit the Falorni Butcher shop to see the amazing varieties of ham and salami products. 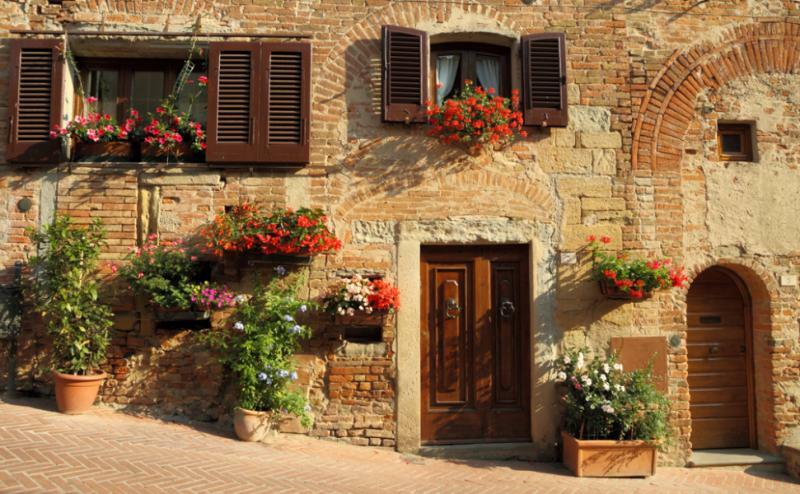 In the late afternoon, your driver will drop you off at your Tuscan retreat, Poggio Piglia, for a four-night stay, where you will be pampered with legendary Tuscan hospitality and comfort in every detail imaginable. Designed in the style of a classic villa, the hotel has contemporary rooms with views onto some of Italy’s finest scenery. In your leisure time, you can bask in the sun by the infinity pool set in herb-scented gardens. The property also produces fine wine and organic olive oil from five different types of olives: Frantoio, Moraiolo, Correggiolo, Leccino and Pendolino. The on-site restaurant makes use of these specialty olive oils and focuses on traditional cuisine made from regional products. You’ll enjoy authentic meals served in its refined and intimate setting. 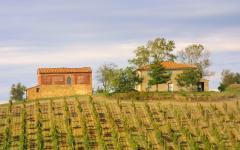 This morning, you will visit the Capezzine Estate vineyard, just a few miles from Montepulciano. Part of the Avignonesi Winery, this small estate vineyard has a noble pedigree evidenced by the ancient stone wine cellar and its production of the renowned Vino Nobile di Montepulciano, one of the most prestigious wines of the region. Take a cooking class that focuses on Tuscan country cuisine made with simple, fresh ingredients, many of which come from the property’s own organic garden. You will learn how to cook with olive oil, the foundation for most Tuscan recipes, and even how to make homemade pasta the scratch. You’ll make a typical type of pasta called pici, a Montepulciano-style spaghetti in the shape of worms. Then you’ll prepare ragu dell’aia, a delicious rustic meat sauce. You will also learn how to make slow-roasted stuffed duck with Tuscan herbs, known as anatra in porchetta, and torta della nonna (Grandmother’s cake): a silky custard tart. Your instruction includes a tasting of the estate’s fine wines and an overview about wine pairing. After the cooking class, you will enjoy a typical Tuscan meal with wine pairing at Foresteria, an 18th-century villa surrounded by vegetable farms and orchards. In this romantic and idyllic setting, you will be treated to a candlelit dinner on the patio or in the old stable that has been elegantly restored for fine dining. After breakfast, your tour guide will pick you up and take you on a journey through the golden hills of the Val d’Orcia in southern Tuscany, an inspiration of many artists. As you go on a drive through winding country roads, take in the gorgeous scenery of rolling hills, bales of hay, and striking vistas over valleys filled with wildflowers. In June, July and August, fields of golden sunflowers stretch as far as the eye can see. 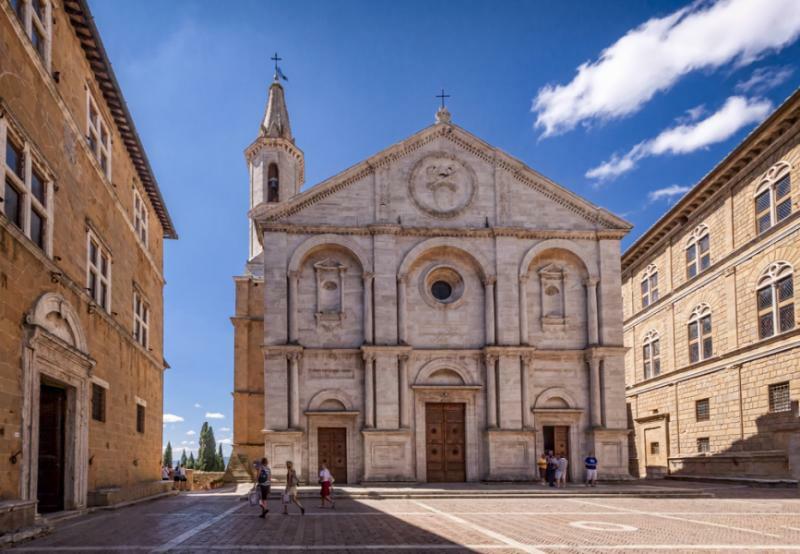 Explore the pristine 15th-century village of Pienza, a perfectly planned and picturesque Renaissance town that is beautifully situated on a crest of green rolling hills. Pienza is the birthplace of Pope Pius II who decided to renovate the town in the architectural style of the times. As a result, the town is a jewel of Renaissance architecture. Pienza is also famous for its production of pecorino cheese. 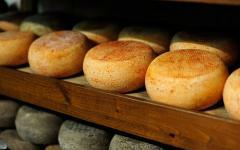 You will go on a tasting adventure at Formaggi Silvana Cugusi, where you will sample a selection of pecorino cheeses made in the typical manner from sheep’s milk and cave aged. Cugusi has twice won the award for the best pecorino cheese produced in Italy. For lunch, you will be given a basket of cheese and bread, along with a good bottle of wine. 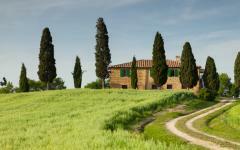 Enjoy your picnic amidst the picturesque setting of one of the most scenic farms in Tuscany. 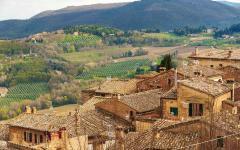 Following lunch, you can visit Montepulciano for an afternoon of sightseeing and wine tasting. 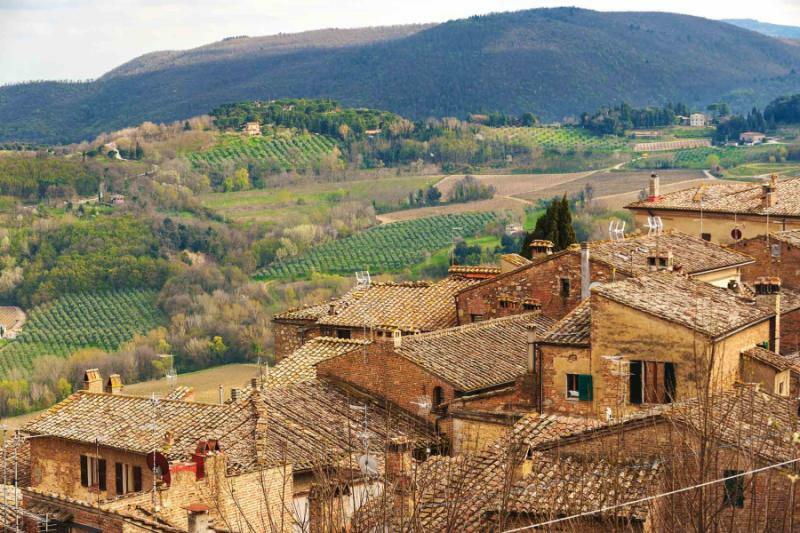 Situated high on a hill overlooking the Tuscan countryside of vineyards and olive groves, the town delights visitors with fine wines and fantastic vistas. 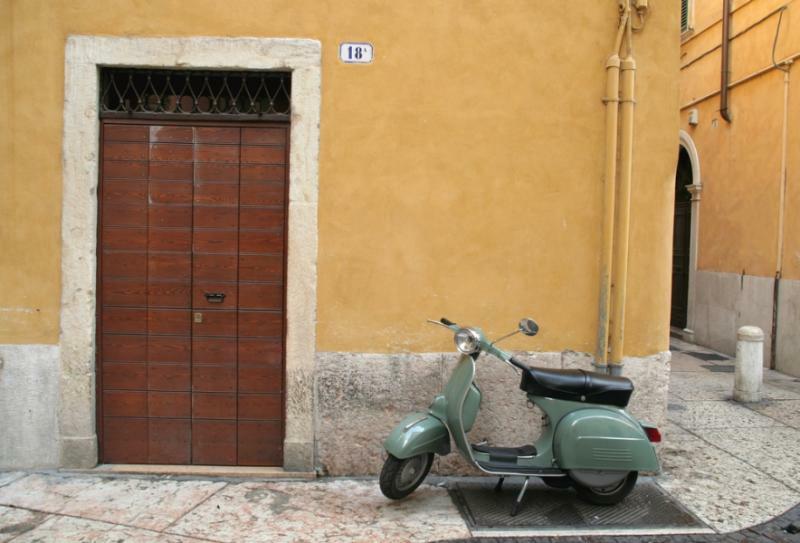 Stroll through the lively piazza and amble along streets lined with elegant Renaissance palazzi. Of course, you must stop at the cantinette (wine-tasting outlets) to sample some of the finest red wines of the Chianti region. Today’s tour takes you to yet another important stop on your Tuscany wine tour. Montalcino, a medieval hilltop village surrounded by vineyards, is famous for the renowned Brunello di Montalcino red wine. This wine, along with the Vino Nobile de Montepulciano is considered some of the most highly prized Italian wines. You will visit the majestic Castello Banfi, a family-owned vineyard estate and winery. Once a medieval fortress with surrounding hamlet, the pink hilltop castle seems straight out of a fairytale. The castle, with its Rapunzel-style tower, sits high above the expanse of the vineyards stretching as far as the Mediterranean. The estate encompasses vineyards, olive groves, wheat fields, plum orchards, and woodlands. If you were to venture far enough, you might encounter wild boar, deer, pheasant, and even truffles. You will have lunch at the estate’s Enoteca, a casual Tuscan wine bar. You’ll be treated to a complimentary aperitif and then an authentic, five-course Tuscan tasting menu with wine pairings from the property. 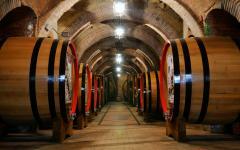 After lunch, you’ll go on a wine-tasting tour and sample some of the world-renowned Castello Banfi’s Brunello wines. You will also have a chance to sample the estate olive oils and balsamic vinegar. This morning you will be transferred from your hotel to the airport in Rome for your return flight home. Private transfers at each location as listed. 2 nights at the Art Hotel Corona d’Oro in a Deluxe Room with breakfast. Small group full day Food Tour with lunch and tastings. Italo train in Club Class from Bologna to Florence. 3 nights at the Antica Torre di via Tornabuoni 1 in a Deluxe Room with breakfast. Private tour of Jewelry and Banking with workshop visit, 2 hours. Renaissance Banquet with 4 courses, wine and musical entertainment, 2 hours. Private Gold in Residences Tour with studio visit, 3 hours. Small group tour of the Uffizi Gallery, 2 hours. Gold leaf application course with take-home masterpiece, 3 hours. Vouchers for a free gift at Ponte Vecchio shops. 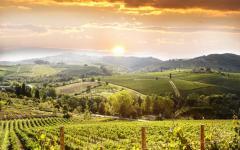 Full day private tour of Chianti, wine tasting and lunch payable locally. 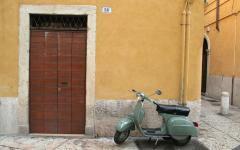 4 nights at Poggio Piglia in a Standard Room with breakfast. Cooking Class and Lunch with wine tasting at Avignonesi winery. 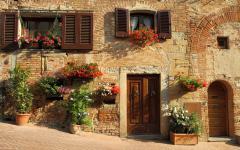 Full day private tour of Val d’Orcia, wine tasting and lunch payable locally. Five course lunch and wine pairings, winery tour and tastings at Castello Banfi. All taxes, fees and service charges. "...our agent worked very closely with us to plan a dream honeymoon!" "We loved our trip and this travel agency had everything well planned down to the little details."